The Opengear IM7200 is a state of the art infrastructure management solution which streamlines remote management of network, server and power infrastructure in data center and remote environments, ensuring business continuity, secure and reliable access, monitoring teams. The next generation IM7200 combines Smart OOB out-of-band management with Failover to Cellular and delivers proactive monitoring and remediation. 16 port + 24 USB console port console server: Manage network and server consoles. Link Layer Discovery Protocol (LLDP) discover, identify and verify attached devices on your local network. Opengear's USB console management gives you added flexibility to connect to the next generation of USB console only devices. The IM7200-L models operate on 4G LTE 700/HSPA networks, 4G LTE 700/3G EVDO networks and 4G LTE 800-2600 / HSPA+ networks globally. 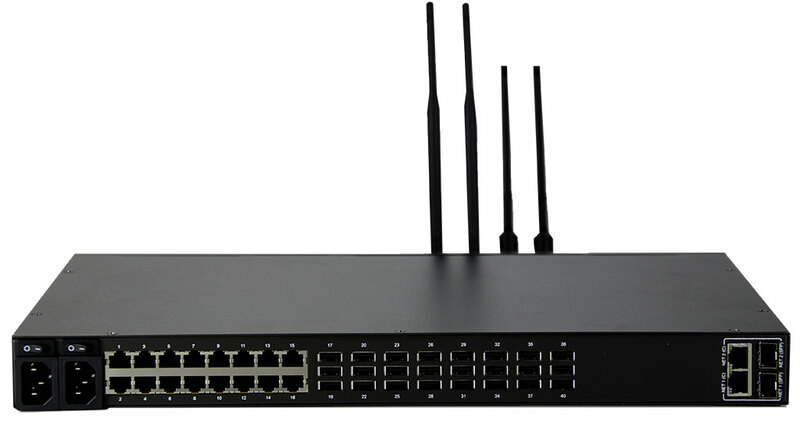 All IM7200 models integrate an 802.11 WAP.